Coinfirm and Dell EMC, who is offering storage solution as well as the WORM matrix, are working on the integration of Trudatum, providing clients with a blockchain based solution enabling new features and security. In recent month Coinfirm joined Dell’s Technologies Forum, which took place in Warsaw on the 11th September. During this one day event Coinfirm had engaged in discussions with the broader Dell EMC team as well as their customers and presented the possibilities resulting from Trudatum implementations. Trudatum is the data provenance and verification platform that allows the registration of document abbreviation in a dispersed network (blockchain) with the digital signature of the owner and registering body. The registered file may be verified by anybody who is the holder of the unaltered copy or abbreviation. It’s a simple and user friendly tool for the registration and verification of data that solves the problem of the management and safe flow of documents within the organization and with clients. The solution has been recently used by PKO BP to send terms and conditions to over 5 million customers via email rather than the traditional post. In effect not only the documents were delivered in a more customer friendly way, but also the bank was able to save significant amounts of time and money and it was fully compliant with the durable medium requirement. Paweł Kuskowski, Coinfirm CEO and Co-founder. During the forum Coinfirm had the chance to meet not only the local team, but also the international team including Michael Dell, Founder & CEO of Dell Technologies. The next step of the cooperation is a joint offering between Dell EMC and Coinfirm that would be launched in the coming months. 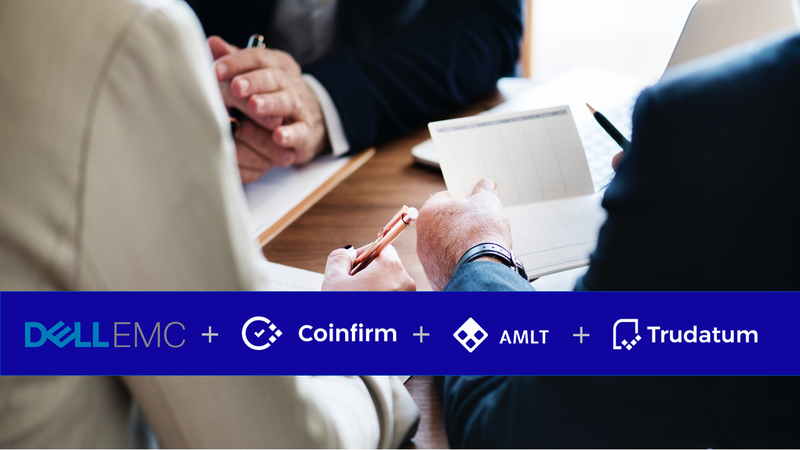 “We are excited to team up with Coinfirm, a technologically advanced and forward thinking company. Both Dell EMC and Coinfirm share the same values with regard to innovation. This synergy will make our cooperation more exciting and effective” - said Dariusz Okrasa, Senior Channel Sales Manager, Dell EMC Poland. Coinfirm also develops dedicated blockchain solutions such as their data provenance platform Trudatum, currently being piloted for adoption by multiple financial institutions. 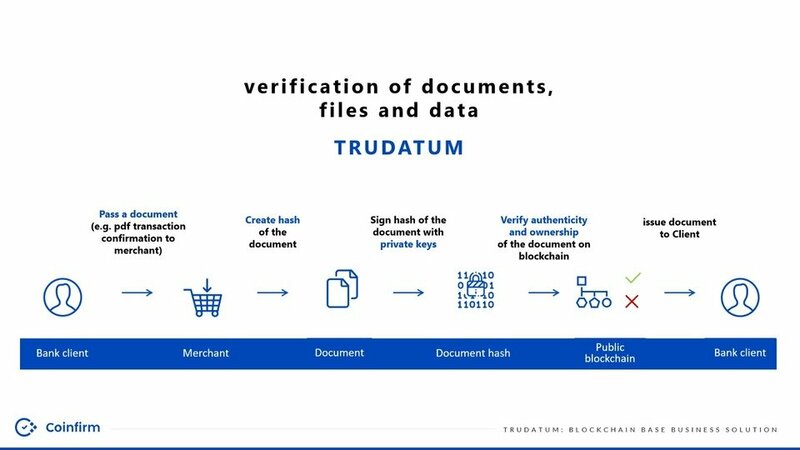 Trudatum is an easy to use blockchain solution to register and verify the ownership and authenticity of any type of document, file, or data.